Bring flowers from your garden to decorate the cross! On February 26th, the General Conference of the United Methodist Church voted on a plan that excludes the LGBTQ+ community. I am personally in disagreement with this decision. On our website, you can read or listen to a sermon I gave on February 24, prior to our General Conference. 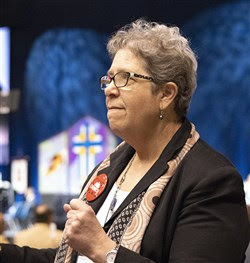 We don’t know what this decision means for our future; please read the statement from our Bishop and a second one from the Western Jurisdictional Leadership Team. But what I know is: Jesus extends love and grace to everyone, and so should we. I offer my concern for all those hurt by this decision of the General Conference. God loves you. I love you. We will figure out a way forward together. 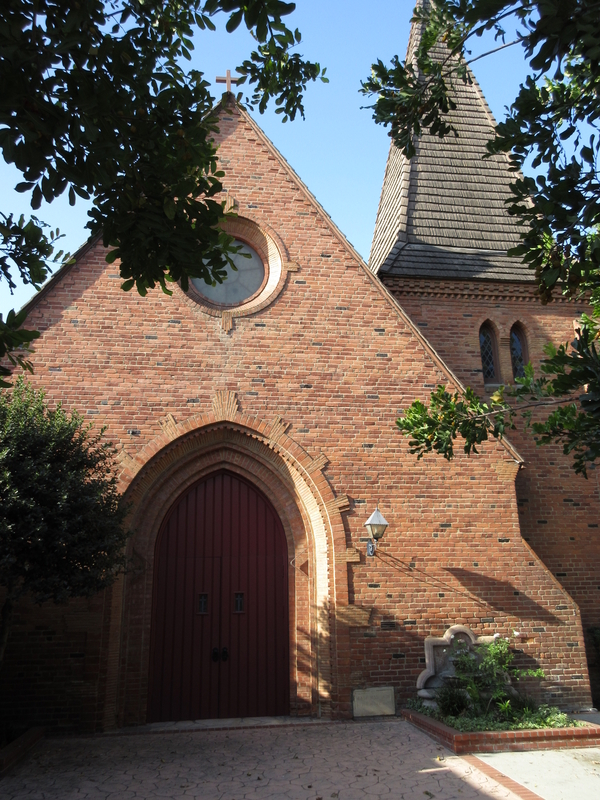 Learn more about how the Western Jurisdiction will continue to be a home for all. Connect: It is easy to feel disconnected from people and from God. We invite all people to engage in worship, Sunday School, fellowship activities and service, as ways to connect more deeply with God and with one another. Learn: As United Methodists, we believe that going deeper in our faith has us examining scripture through the eyes of: tradition, reason, and experience. Serve: As we learn and connect, it is natural that we want to live out our faith. A key way is loving our neighbor and serving others. 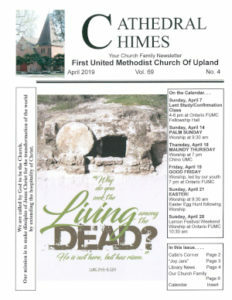 The First United Methodist Church of Upland, California is a diverse congregation representing all ages and cultures, bound together by our love of God and fellow Christians. As United Methodists, we embrace the mission of the global church to make disciples of Jesus Christ for the transformation of the world. The First United Methodist Church of Upland is a local congregation of the California-Pacific Conference of The United Methodist Church. Our church family is happy to welcome you to FUMC Upland, both online and in person! 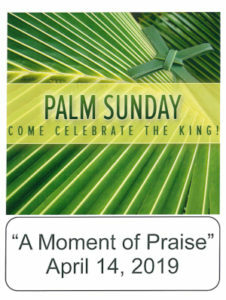 Worship service is every Sunday at 9:30 AM at First United Methodist Church of Upland, California. Everyone is welcome. Come as you are! Large Print bulletins and hearing assistive devices are available. Sign Language interpretation is available. Please contact the office ahead of time so we know to expect you! 04/14/2019: Sermons are up to date.